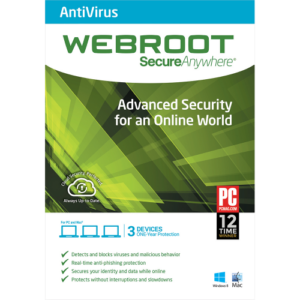 Webroot SecureAnywhere Internet Security Plus provides cloud-based protection from online threats for PCs, Macs, Android™ and iOS® smartphones and tablets keeping you safe no matter how or where you connect. It scans faster, uses fewer system resources, and protects you in real time by instantly identifying and blocking new threats as soon as they appear. Webroot Internet Security Plus identifies unsafe links and search results before you click, protects and manages your passwords and logins, and pre-fills online forms. Mobile security ensures you’re protected from malicious apps and syncs online passwords across all your devices so they are accessible anywhere. From the makers of Spy Sweeper and Window Washer. Our cloud based network analyzes files, phishing sites, malicious web pages, IP addresses, and mobile apps providing a real time view of current threats and enabling instantaneous protection from new infections. 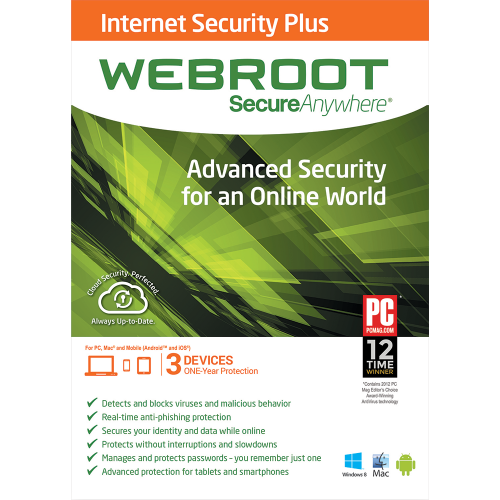 Webroot Internet Security Plus protects you from online threats keeping you safe no matter how or where you connect. It scans faster, uses fewer system resources, and protects you by instantly identifying and blocking new threats as soon as they appear. Scans in less than two minutes! Protects up to 3 devices and lets you lets your manage security on all your devices from anywhere through one simple interface. Automatically backs up photos and files with 25GB of online storage space you can access from all your devices. Passwords feature encrypts your passwords and automatically logs you into your favorite sites so you do not have to remember multiple passwords. Securely stores your usernames, passwords, and credit card numbers. Mobile security for Android and iOS smartphones and tablets ensures you are protected from malicious apps and syncs online passwords across all your devices so they are accessible anywhere. Remotely locks or wipes data from smartphones and tablets and helps locate lost or stolen devices. Analyzes devices and operating systems to detect system issues and wipes away all traces of online activity and makes deleted files unrecoverable. Just set it and forget it. With Webroot’s cloud based detection, you will always have the latest version. 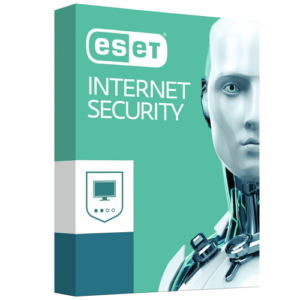 Blocks viruses, spyware, worms, Trojans, rootkits, and other online threats before they infect your PC. Real-time anti-phishing identifies and blocks fake websites that trick you into entering your personal information and Warns you about infected websites before you visit them. Identity Shield ensures your personal information cannot be stolen. One click fix solves security problems and gets you back to work quickly. Social network protection for Facebook and Twitter. Also lets you manage security on all your devices from anywhere through one simple interface. 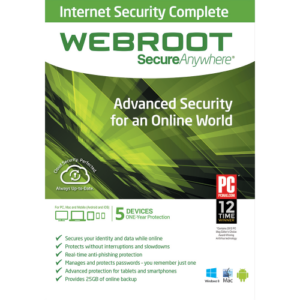 Webroot’s internet security software earned PC Magazine’s industry touted Editor’s Choice award for the 11th time.